​Ceramic materials are time- honoured, ancient products, which are used extensively in every internal and external aspect of our built environment. Today, tiles can be purchased in an extensive variety of formats which vary in size from tiny mosaic tesserae to giant pieces of porcelain. Tiles vary in thickness from 5 mm to 25 mm. Products are manufactured from mixes of clay, sand and a variety of natural substances which are fired at extreme temperatures which frequently exceed 1200 degrees celsius. The blend of raw materials and the temperature they are fired at determine the nature of the tile, and its suitability for use in specific applications. The firing process produces hard, rigid products which are fragile in certain circumstances. However, once tiles are correctly installed, they are capable of withstanding heavy loads, and substantial levels of foot traffic, without bending or deforming. At this stage they are highly resistant to abrasion and their resistance to impact is increased. While the pressing stage initially sets the hardness properties, it is the final stage of the firing process that ultimately determines the hardness of the product. The high temperature production process produces a surface finish which is easy to clean and maintain. ​Ceramic tiles are inert, they can be fully immersed in water without any change occurring. Significantly, the flames of a fire will not alter their structure. 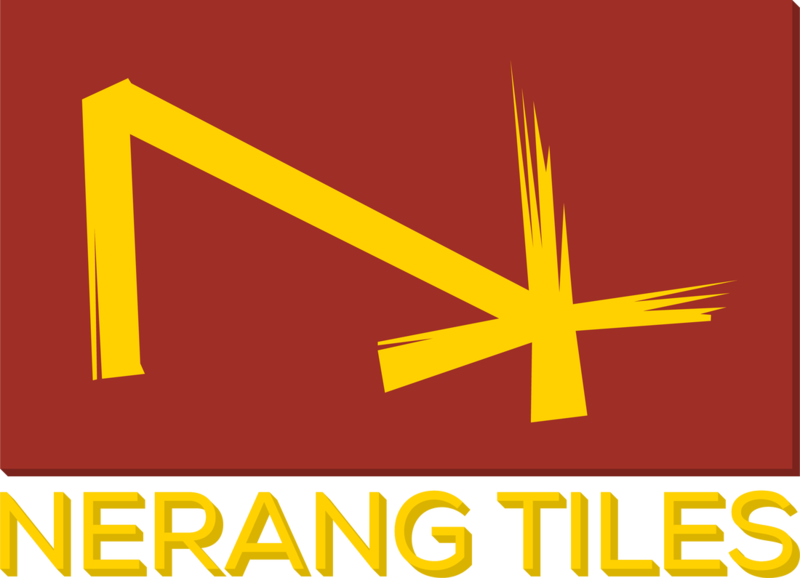 Consequently, tile can be adhered to any internal or external, vertical or horizontal, wet or dry surface that has been correctly prepared. Most ceramic materials are highly resistant to staining and have a very high resistance to a wide range of chemicals. Appropriate specified ceramic surfaces can be laid in laboratories, hospitals, abattoirs, or virtually any commercial environment. ​Many porcelain products are practically impervious, and highly resistant to liquid impregnation and subsequent staining. Glazed ceramic products do not stain. Tiles will not burn. The inert nature of the material determines that no toxins or volatile organic compounds (VOCs) will be released during a fire. Tiled surfaces delay the spread of fire and the surface cannot be burned or marked by a lit cigarette. This means that no smoke or gas can be emitted by a tile. Glazed porcelain tiles are dense and incredibly tough, tilers require a diamond edged cutter to score and cut tiles. This means that tiles are very resistant to wear and tear, including scratching. ​The vast majority of ceramic floor tile installations can be cleaned by sweeping away accumulated grit and light mopping or cleaning with a microfibre wipe. ​A tile's low porosity means that tiles will not stain or grab grime so they can be easily cleaned and maintained. Tile can be laid in numerous residential and commercial applications. Hardwearing/Exceptional Life Cycle Life Cycle Analysis (LCA) studies have determined that correctly chosen and installed ceramic tiles materials can last as long as the building in which they are installed in. Even extreme levels of ultra violet and other forms of light (sunlight) have no effect on the colourfast nature of tiles either glazed or unglazed. ​Tiled surfaces adapt to the air temperature of a room, which minimises heating and cooling costs. Under tile heating systems can be installed during the laying process. Clay products absorb heat and naturally release it when the ambient temperature falls. Porcelain tiles are particularly effective heat banks as they are thermal insulators. Advanced ceramic products are produced with titanium dioxide fired into the surface of the tile producing hydrophilic properties which ensure that the tiles are extremely easy to clean. In addition, an anti-bacterial effect is created, in the presence of any form of light the photocatalytic process produces O2 active oxygen which can decompose microorganisms such as bacteria, fungi, moss, mould and viruses, even the antibacterial resistant ‘super bugs’ are destroyed, this process also breaks down the toxic emissions such as nitrous oxide from motor vehicles. ​Tile can be most beneficial when used in hospitals, on building facades and in private homes bringing major health and environmental benefits. The materials that tiles are made of and their manufacturing process eliminates all free radical bacteria and possible allergens. Tiles are also PVC, formaldehyde and VOC free, meaning you can feel confident that your tiled floor is safe for asthma suffers, children and yourself. Tiles will keep their colour and shape while also resisting stains, scratches and general wear and tear. This means your investment will last a very long time. When it comes to reselling your space, you can feel confident that most tiles will look as new as the day they were installed. The wide array of tile surfaces allows us to choose the perfect tile for the application. Whether your after a feature cladding, a stone look to blend in with existing flooring or a warm timber feel, the technological advancements in tile manufacturing make anything possible. Tiles are also available in a range of slip resistant surfaces that provide additional grip. This is perfect for swimming pool surrounds, public amenities and where buildings codes require specific slip standards to promote safe foot traffic. Unlike other flooring materials, tile are electrically neutral. This means that they cannot become electrically charged when walking or touching them as a result of friction. ​The benefit of this is that you will never receive a jolt of electricity from any static. ​Other benefits include the purpose installation of electrically conductive flooring for commercial and other application such as operating theaters were anti static properties are required for safety. Would it not be nice if a flooring solution was available that did not absorb the odours from unwanted laundry and kitchen food and liquid spills or the kids or animals muddy foot prints. For most flooring solutions such as laminate or timber planks, any spills can seep into the pores of the product and produce a nasty smell. These types of flooring products act like sponges and will absorb and emit an odour even if they are sealed. Tiles on the other hand are non porous or impervious to liquid. Glazed porcelain tiles particularly, have a 0.5% porosity rate which means they will not absorb soils or moisture, keeping your home odour free. Ceramic and porcelain tile is among the most durable product in the world with an average lifespan of up to 100 years and in some cases even more. Tile is so durable that ancient cathedrals still have the original tiles installed and more recently pre-1900 ceramic and porcelain tiles have been sold around the world. This makes tiles great value for money. It has been established by the CSIRO that one in three dwellings have termites within their property boundary. This places those properties at a high risk, especially those that contain untreated wood or any other wood products. Remove the concern or anxiety about highly destructive pests by installing a flooring product that is immune to such risks, tiles. With all the positives our beloved furry friends bring to our home, they can also be very destructive to household flooring and cause lots of cleaning work. Tile is a great choice when it comes to pets. Simply sweep leftover hair or mop up unwanted mishaps with tiles. Unlike other flooring products such as timber and carpet, tiles have an incredibly low porosity. This means tiles will not absorb stains and leave an odour and cannot be scratched by any paws. Have you ever walked on carpet and dreaded leaving pit marks or scratching your newly stained timber flooring? According to the national Science Foundation, high heels or spiked heels worn by a 45 kg person can strike a floor with more force than an elephant's foot. Luckily tiles are known to withstand the pressures over 500MPA which is equivalent to 10 elephants per tile! With the equievelant hardness of Topaz and Quartz, walk around your home care free with a tiled floor, durable, hardwearing and scratch resistant.